The apps on this page support your children's writing and creative work in English, across the curriculum. You will find phonics apps on a different page. 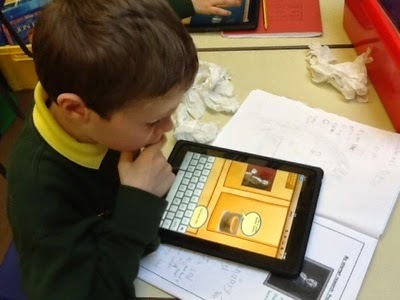 Comic life is a perfect app for creating comics, posters, information sheets and leaflets across the curriculum. Easy enough to use with 6 year olds. You can see how my class used them for Samuel Pepys fact sheets here. Creative book builder is an alternative to book creator. You can see some recent iBooks that my children have made here. Create slick movies quickly with imovie. Check out this tutorial if you need help. You can see a promotional film that one of my digital leaders made here, but there are many creative examples out there too! These three animation apps, sock puppets, puppet pals and I can animate are on the animations page, but are repeated on here because of the obvious impact they can have on talking and writing. Dragon dictation is a free app that will type as you talk using voice recognition. Great for those reluctant writers! Find out more here. j2e is a great little app that will enable you to create content rich documents online. For use across the curriculum! Take a look at this helpful film clip to learn more. There are countless apps that can encourage children's speaking and listening skills. Talking Tom and Ben are my favourites! The new Tom messenger allows you to send talking telegrams too! It's good fun! Our story has been created by the open university and enables young children to take part in fun games which can help develop interests and skills that will be relevant to them when they start to read. 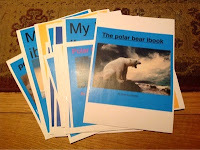 My story-book maker is a book maker for younger school children. Simple to use, but there is a tutorial here if you want to see the potential of it. Tiny bang story has such beautiful pictures and these can be used very well in creative writing lessons. Epic Citadel is another app that can be used to inspire writing. You can explore an atmospheric medieval town that provides a fantastic setting for writers. Myst is another app that will provide you with adventure settings to explore. 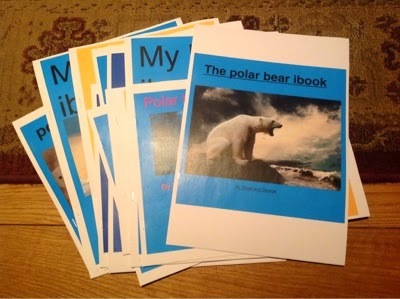 It has been used by many teachers to inspire writing. Story ideas is the first app created by Pie Corbett to help you develop story writing ideas. A lovely little word building game to stretch your children's skills. A vocabulary game recommended by @ElKel99. Be warned - it may be addictive! A great little free app that allows children to take a photograph and add a caption to it. Perfect for KS1.